Did you ever travel around the world? Of course you do ... Then you know how easy it is to get lost inside the maze of the city's streets, with or without a map. What about something very challenging now ... a maze ... a real Maze. Ho do you like it. I loved it. In Vancouver I found some special mini-mazes, loved by young and mature alike, wonderful public pieces of art which allows people to engage with the art and nature in a playful manner. 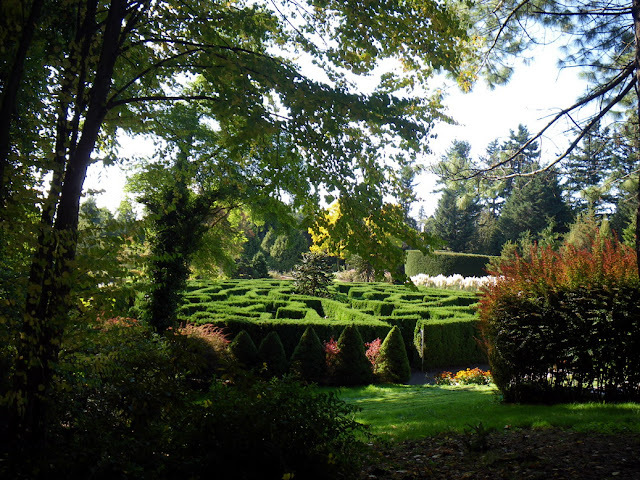 In the autumn of 1981, VanDusen natural Hedge Maze, has been created with up to 3,000 pyramidal cedars, Thuia occidentalis "Fastigiata"
The living labyrinth from VanDusen Garden depict the Elizabethan style of English hedge mazes. Do you enjoy solving puzzles? Hedge mazes, such as the one here, are especially delightful because you can exercise your mind while savoring a walk in the garden. Hedge mazes have challenged and captivated both children and adults for centuries. 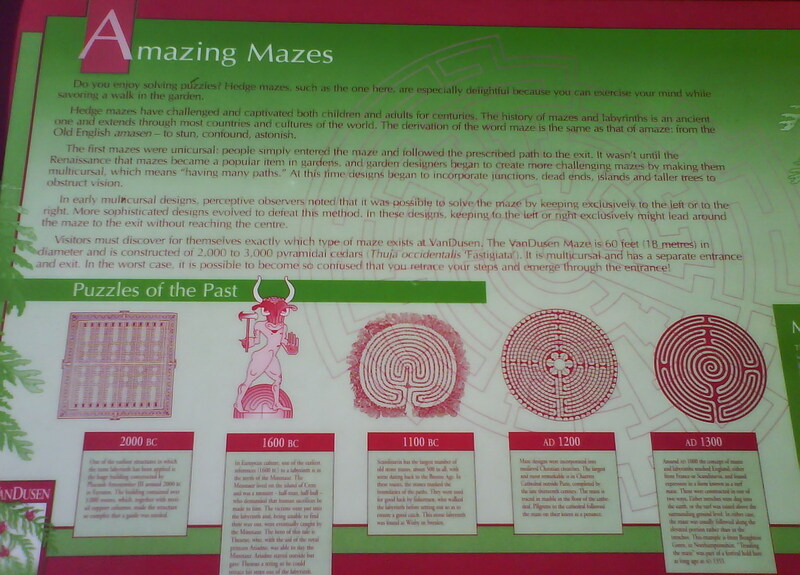 The History of mazes and labyrinths is an ancient one and extends through most countries and cultures of the world. The derivation of the word maze is the same as that of amaze: from the Old English amasen - to stun, confound, astonish. The first mazes were unicursal: people simple entered the maze and followed the prescribed path to the exit. 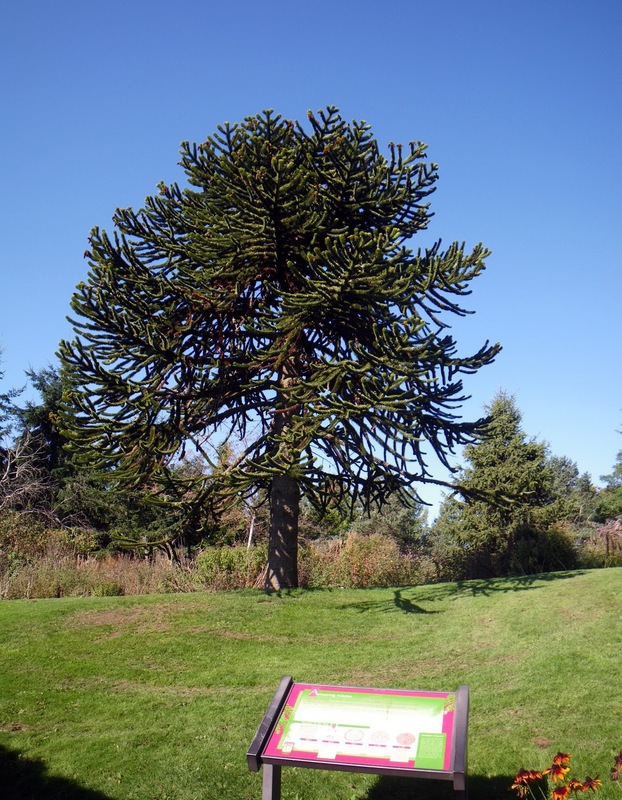 It wasn't until the Renaissance that mazes became a popular item in gardens, and garden designers began to create more challenging mazes by making them multicursal, which means "having many paths" At this time designs began to incorporate junctions, dead ends, islands and taller trees to obstruct vision. In early multicursal designs, perceptive observers noted that it was possible to solve the maze by keeping exclusively to the left or to the right. More sophisticated designs evolved to defeat this method. In these designs, keeping to the left or right exclusively might lead around the maze to the exit without reaching the centre. 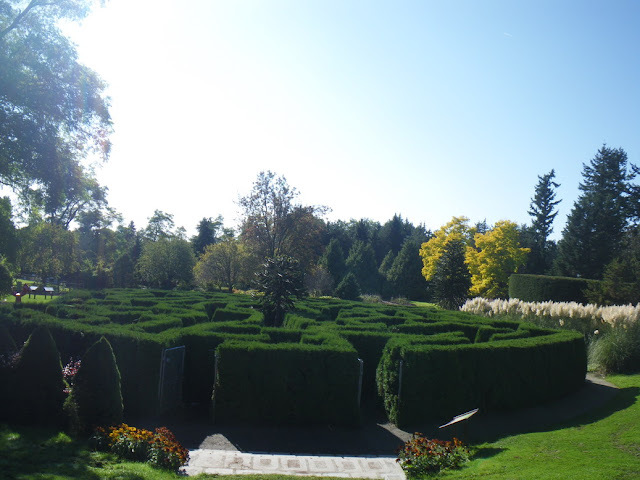 Visitors must discover for themselves exactly which type of maze exists at VanDusen. The VanDusen Maze in 60 feet (18 meters) in diameter and is constructed of 2000 to 3000 pyramidal cedars (Thuja occidentalis 'Fastigiata'. It is multicursal and has a separate entrance and exit. In the worst case, it is possible to become so confused that you retrace your steps and emerge through the entrance!" There are so many living works of arts, gardens with rose and lavender mazes, corn and meadows mazes everywhere around Vancouver. Lose yourself in the maze and become a child again. Laugh and hear laughter, turn a corner, watch the shadow cast and meet again! At many farms you can explore the nature and enjoy walking through corn mazes and meadows mazes with their challenging trails design cut into stalks of crops. Usually for a small fee you can get access to incredible peaceful meadows, pick up your pumpkin for Halloween, have a hayride, experience scareshows or pet farm's animals. 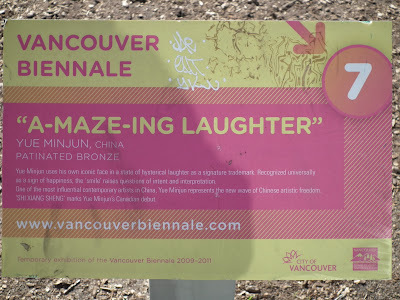 Last year in Vancouver, part of Vancouver Biennale 2009-2011 was installed another maze, spectacular and "a-maze-ing" labyrinth of human expressions, where you have to exercise your ability to identify the true feelings hidden under the smiles of the sculptures. 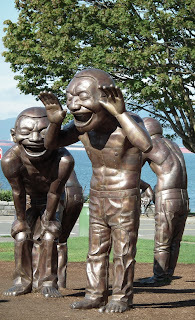 A-Maze-Ing Laughter, by Yue Minjun , guards the ocean at Morton Park /Triangle in English Bay area, near the corner of Davie and Denman. 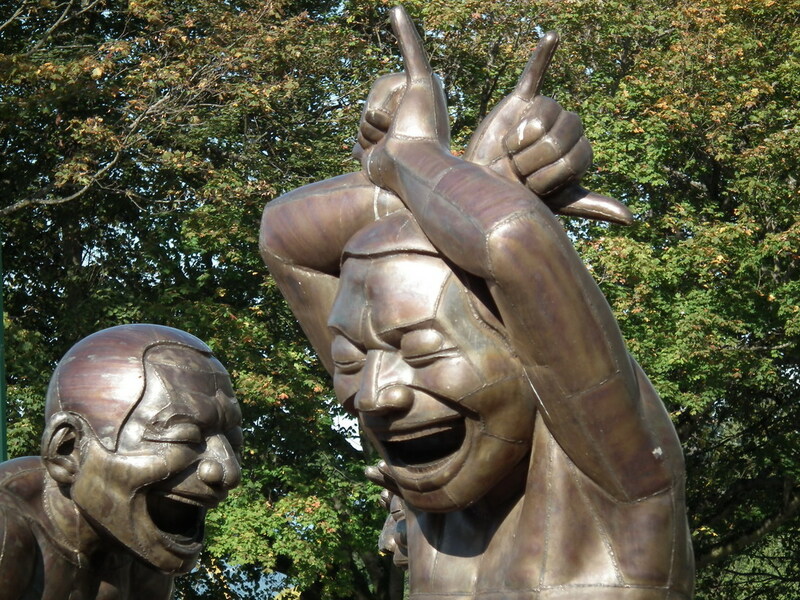 This group of sculptures in patinated bronze is a fascinating collection of laughing self-portraits of the Chinese artist Yue Minjun. "Yue Minjun uses his own iconic face in a state of hysterical laughter as a signature trademark. Recognized universally as a sign of happiness, the 'smile' raises questions of intent and interpretation. 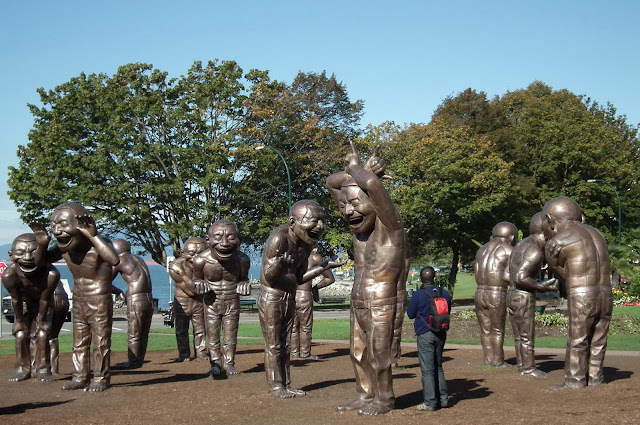 One of the most influential contemporary artists in China, Yue Minjun represents the new wave of Chinese artistic freedom. 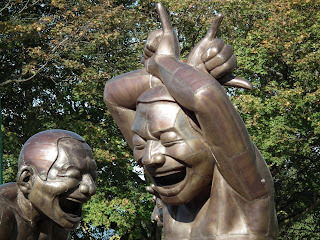 'SHI XIANG SHENG' marks Yue Minjun's Canadian debut." So many things to see and wonder for all ages, hidden in so many a-maze-ing places! 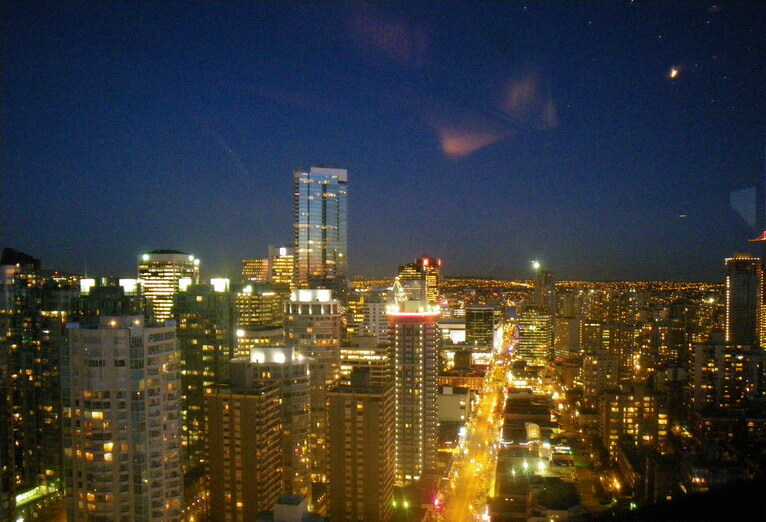 Whenever you can, breathe the fresh air and enjoy the ride through them from one end to the other! Great post...love the pics. Found you via Boost My Blog. Hi, here from boost my blog friday! I've never heard of these mazes but they look super fun! We've got some in Ottawa too but I've been to them so many times that they aren't as fun anymore. 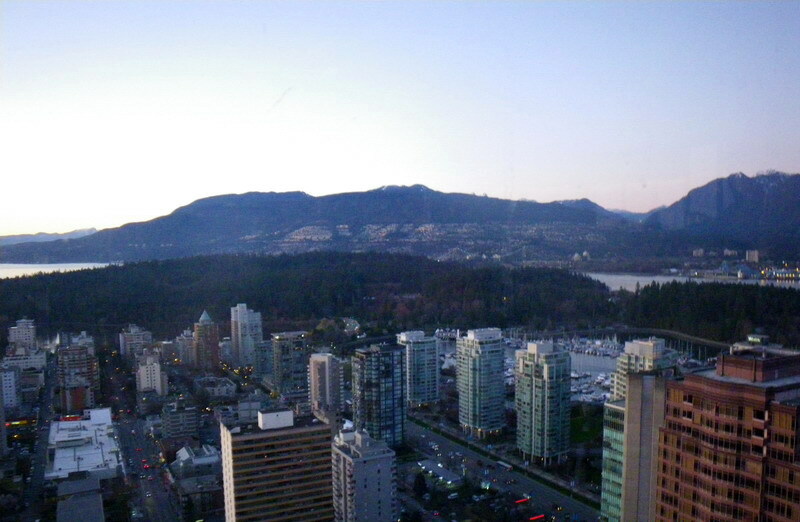 One day I'll get out to the west coast again and check these out! I am your new follower. You can follow me back at http://showmemama.com. Make sure you leave a comment so I know you visited. 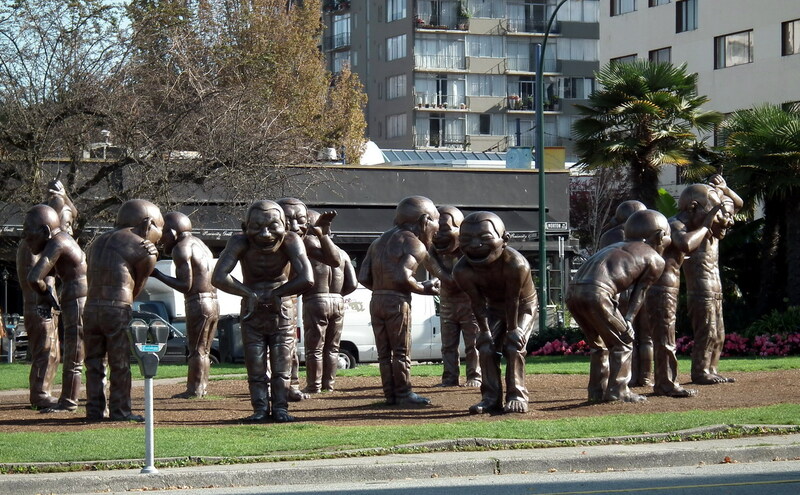 I live in Vancouver, but have never seen the mazes! That's amazing! I'm your newest follower from Boost my Blog Friday! You can follow me back at Cheapskate4Life! Taking a break from the hassles of everyday busy life and relax in a garden or park is really a priceless experience. All the stress can die down just by breathing the fresh breeze while admiring the whole place. Now this hedge maze in Vancouver is particularly interesting. One would really wonder if anyone would find it hard to trail from start to finish. And, just got to love that lush greens. La peculiarità degli rolex replica automatici è la loro precisione, questi anche replica orologi svizzeri nel tempo subiscono repliche orologi svizzeri difficilmente una variazione di velocità, l’unica attenzione da porgere a questa tipologia di replica orologi italia e di conservarli sempre in luoghi asciutti e non umidi.